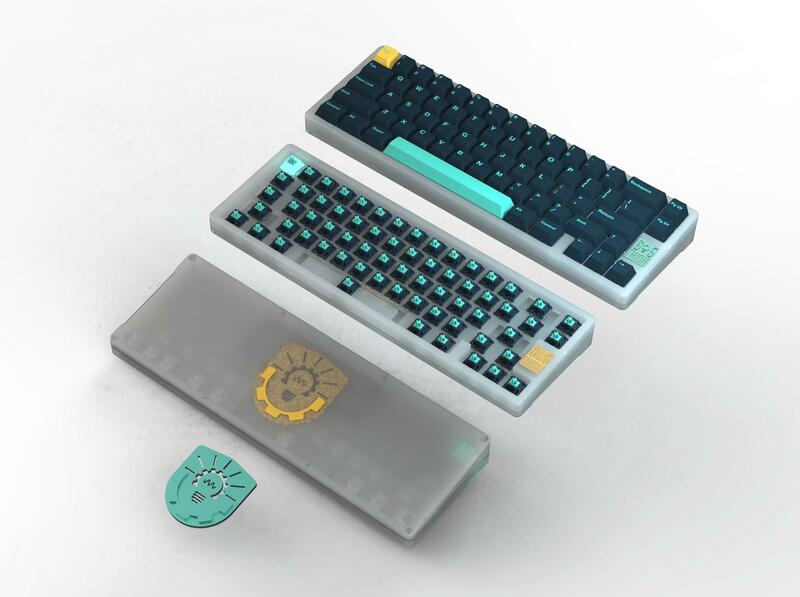 Hey my keeb friends, it's your boye oldcat here, to present a design in collaboration with airpotter from Gray Studio. 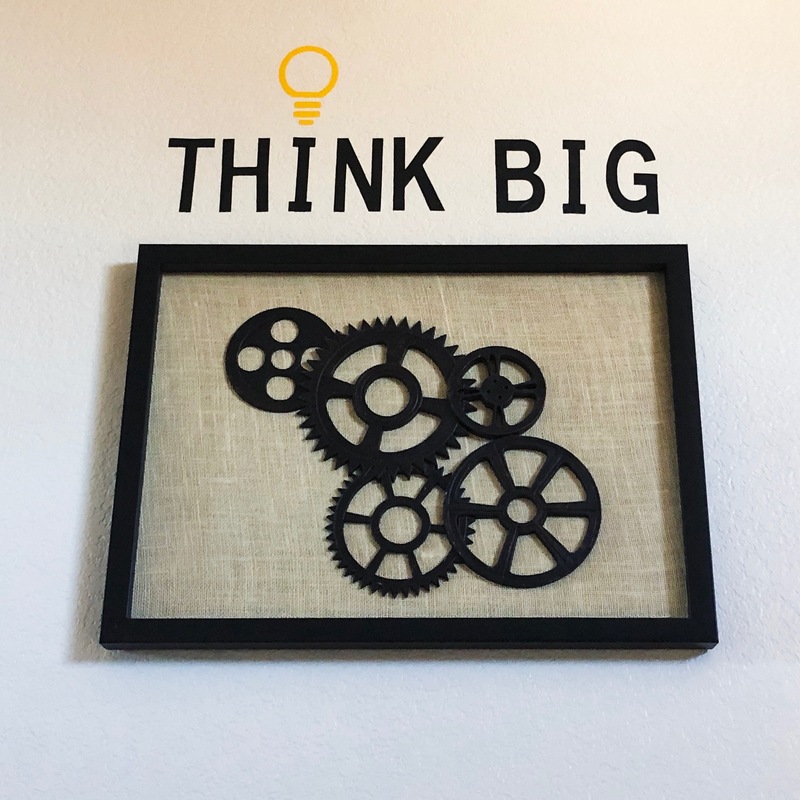 Krauth summarized René Descartes' philosophy succinctly, "That cannot doubt which does not think, and that cannot think which does not exist. I doubt, I think, I exist." 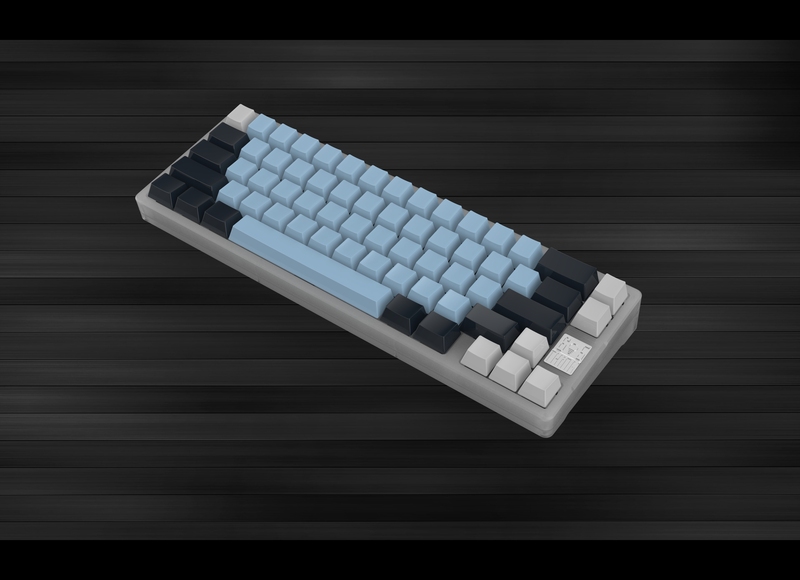 As a fan of and heavily influenced by Descartes' Philosophy, I combined the key term with some design choices of this board, and named it "Think6.5°". 1. 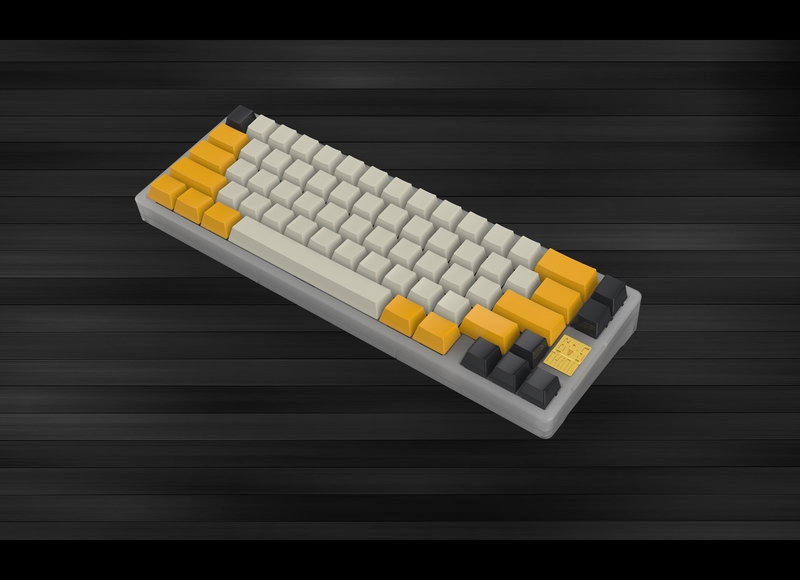 It is a design that I had for quite a while, that combines many good elements from all the top-notch 65% boards I own, trying to optimize and come up with an ideal design, for my own taste. 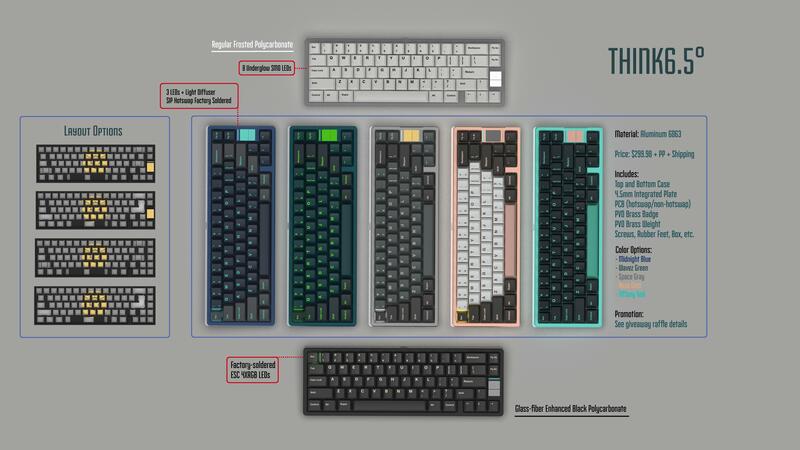 65% keyboards comprise a significant portion of my life out of the busy work schedules, and some of you have probably heard of and joked about my owning many Canoe boards. 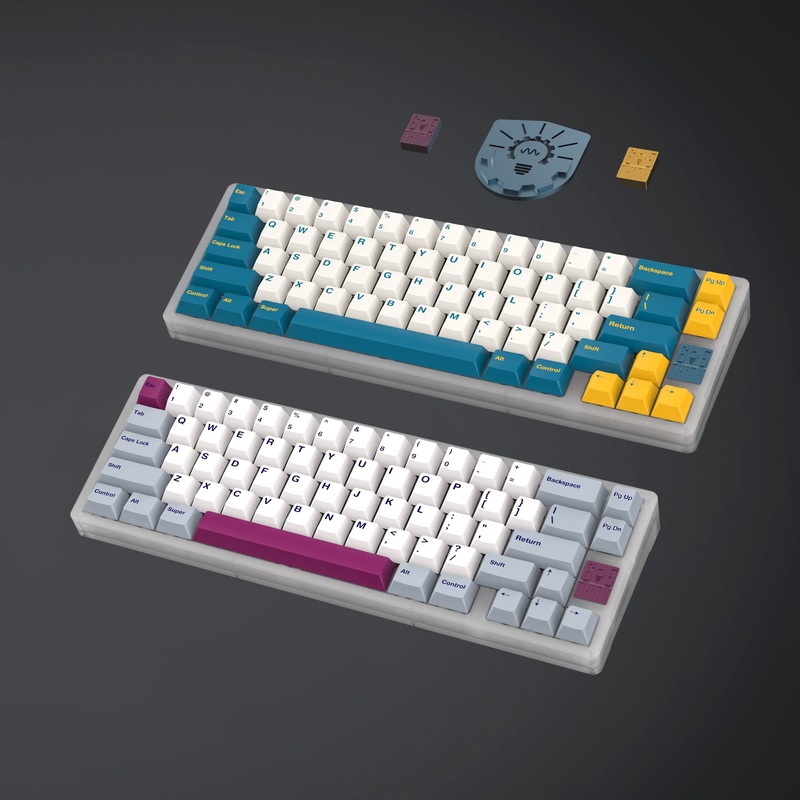 Indeed, the amazing designs like TGR910, Canoe, Zephyr, etc are the true inspirations for me, and I am trying to come up with a design that looks good and also optimizes typing sound. The final two candidates are 4.5mm PC plate vs. a gasket 1.5mm aluminum or 1.5mm brass plate. In our testing, thicc PC plate stands out. 2. 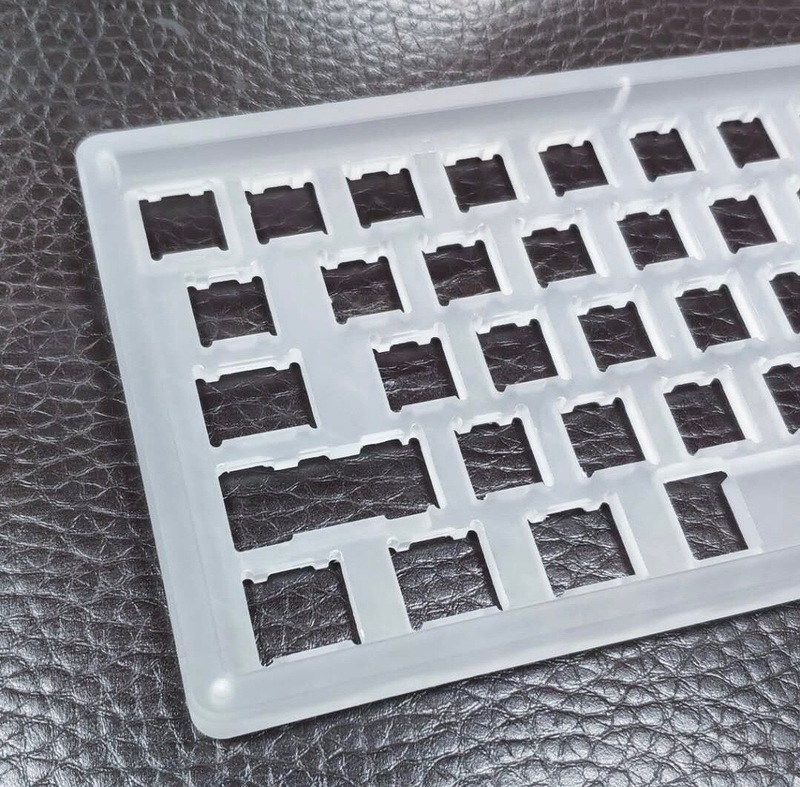 From the typing sound perspective, we adopt a thick 4.5mm PC plate integrated to the top plate, PC helps to preserve the sound of the switch while simultaneously maintain typing consistency. No metal rattling or high-pitched sound from thick aluminum or brass. 3. I have always advocated for affordable premium-quality boards. Gray certainly shares this value. Therefore, for this board, the pricing will be very affordable and competitive compared with current offerings in the market, as per the tradition of prior Gray Studio GBs. 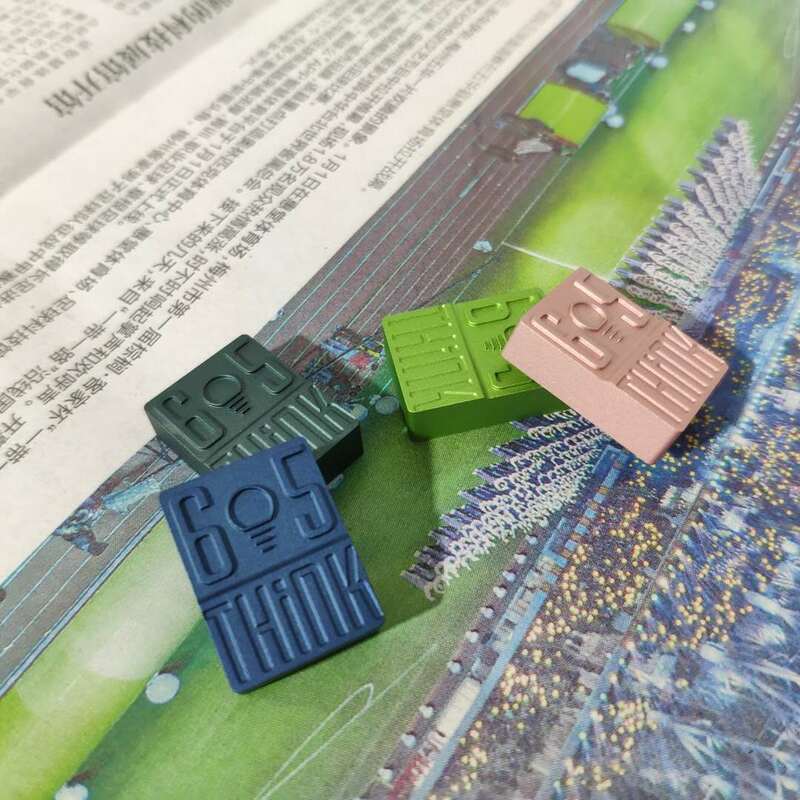 Personally, I will promise you that as a designer I will not take a single dollar of profit out of a potential GB, the money will go to high-quality material, best processes, and Potter's and our PCB designer's manufacturing costs and operating expense. 5. Angle will be 6.5 degrees, hence the name. In my experience, 5° is a bit flat (feels ok), and 8° is too steep, so why not 6.5°, it feels good. 6. It will be PC only. 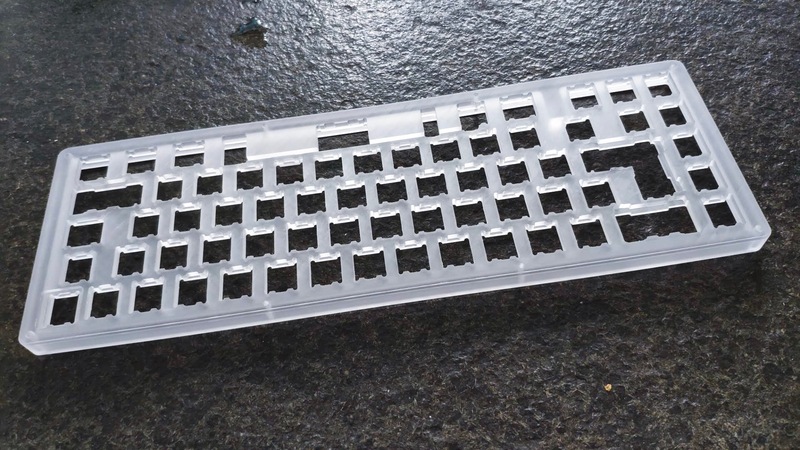 Currently I do not have the intention to make an aluminum case, I believe there are many good aluminum board options in the market. 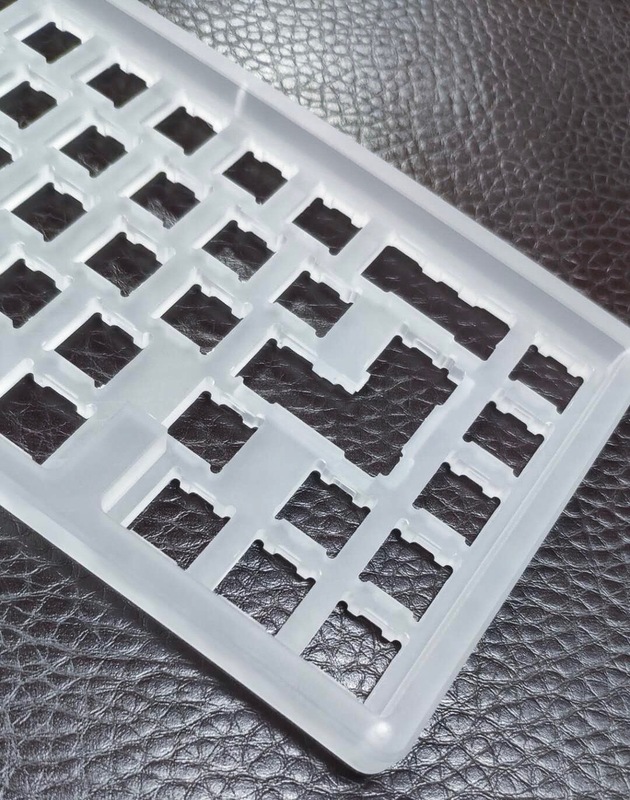 If there are many requests, we will do a slight modification to make the metal version either top mount or gasket mount, shouldn't be too much work as we have other top and gasket designs already. 7. 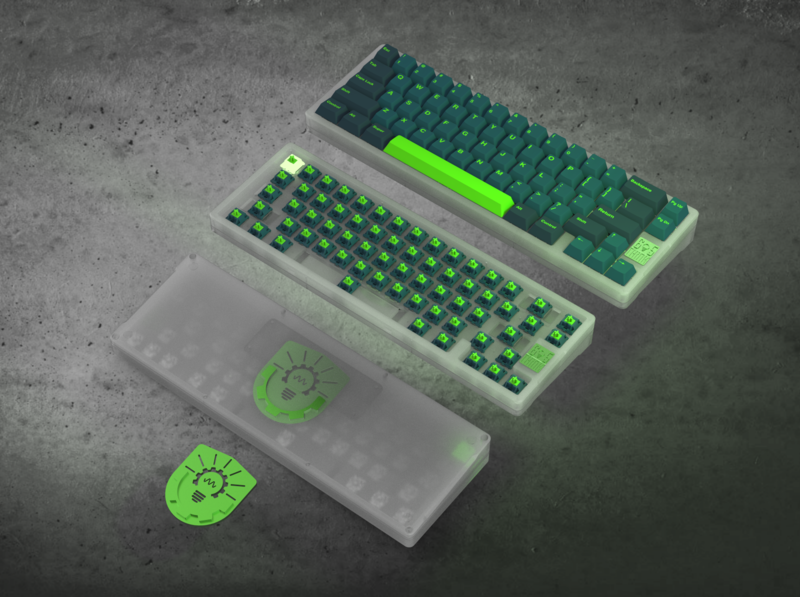 A high-quality, good looking, hotswap, QMK, Type-C PCB with underglow is being developed and will be included if this ever goes to GB stage. I know god-like Wilba's PCB is hard to beat, but our goal and material and process we use for this PCB will be that kind of quality. TL; DR, What are the Features? 6. 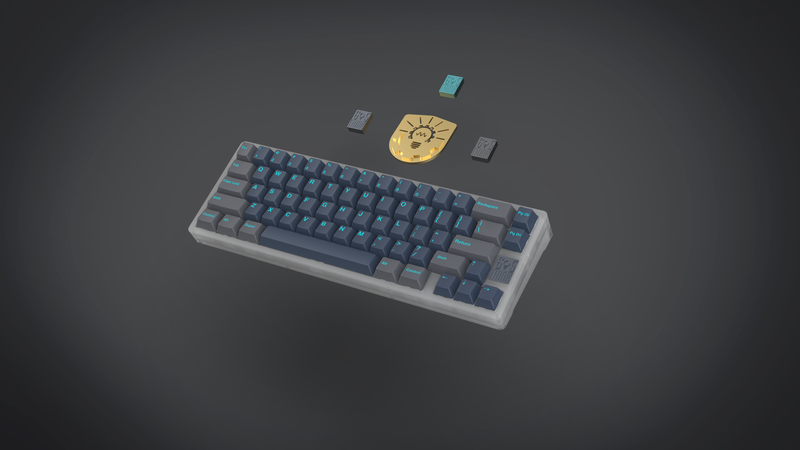 Premium-quality PCB with QMK, type-C (connector position in the middle), underglow, ESC key 4XRGB, hotswap (non-hotswap PCB for compatible layouts). 7. 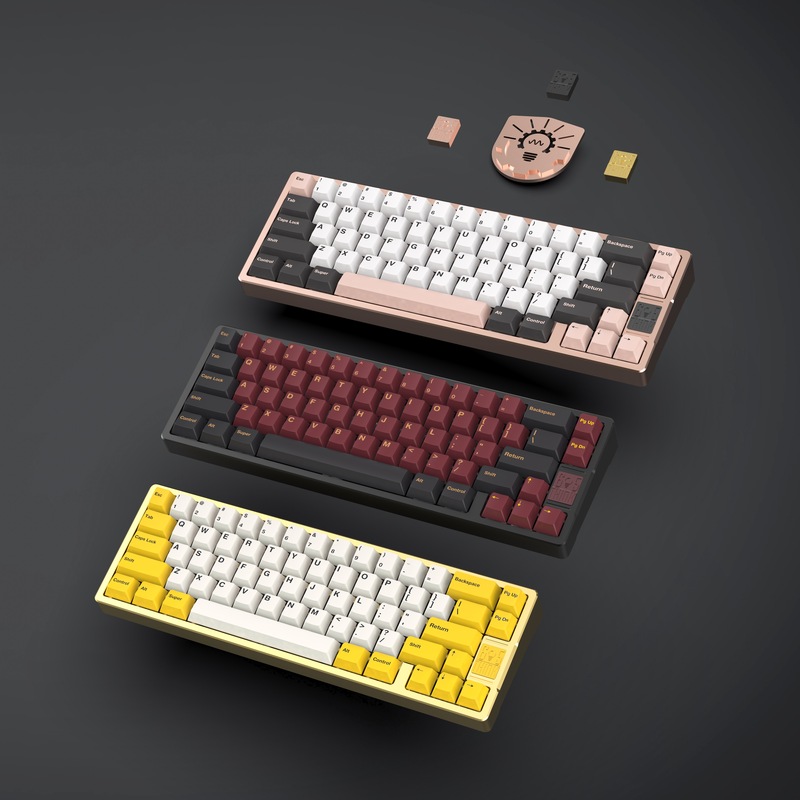 GB price (1*case, with or without brass badge, 1*brass weight, 1* PCB, 1*box, accessories): under $300 (confirmed to be $299.98), looks like after redesigning some parts and adding compatibility etc cost is going up quite a bit, but I will honor my promise for being pro bono, and hence this pricing for this particular GB. 8. 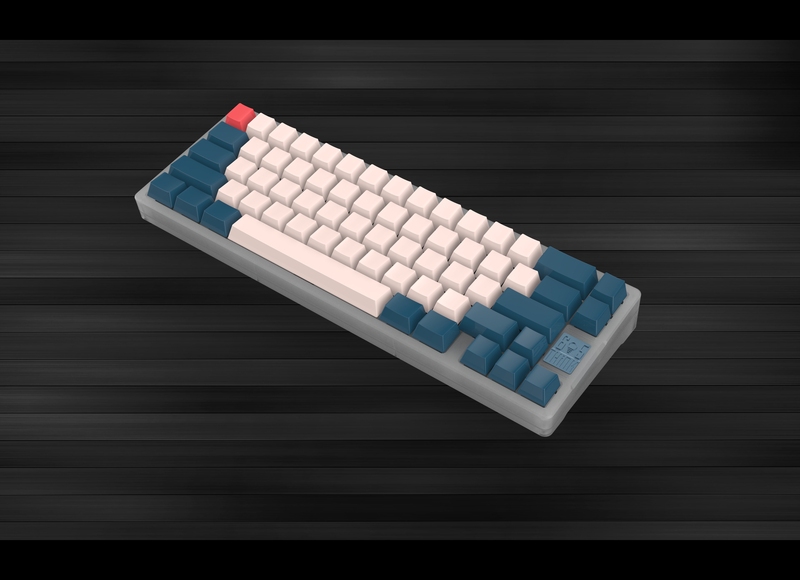 There will be some exciting raffles for this GB, including a few discounted raffle boards and some free special color badges/weights to share my love with this community: raffle board estimated around $250 (confirmed to be $250). Details for the raffle are being discussed and forthcoming. 9. Limited Edition full brass versions (comes in PVD black, PVD rose gold, and PVD gold) will be available at $650, details forthcoming. 13. 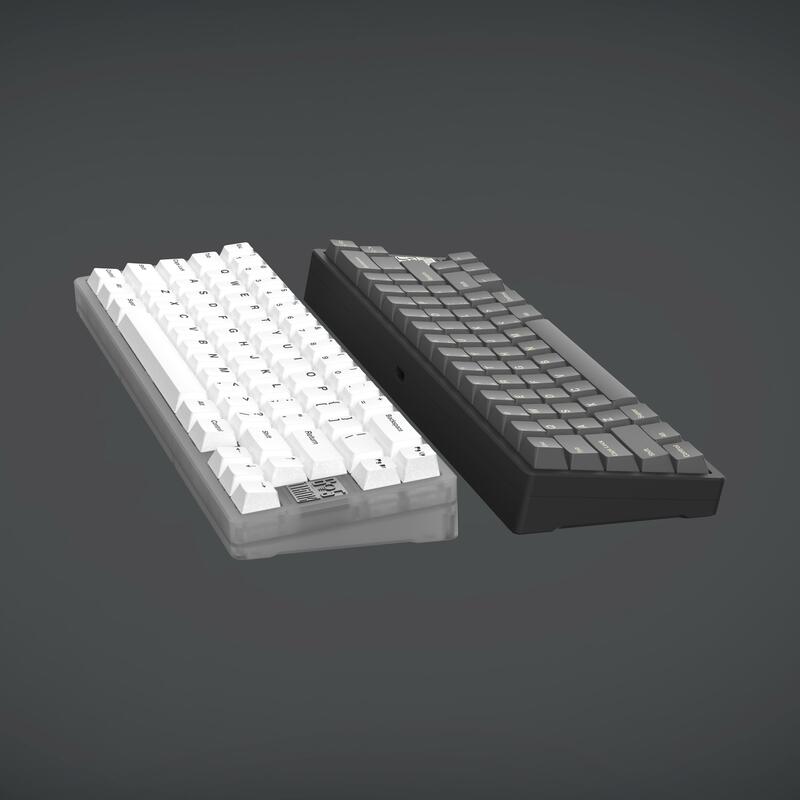 China GB and Geekhack GB will be the same pricing (excludes fees and shipping). Note: All 4 layouts will be made. Feel free to pre-fill the forms and submit after GB opening time. 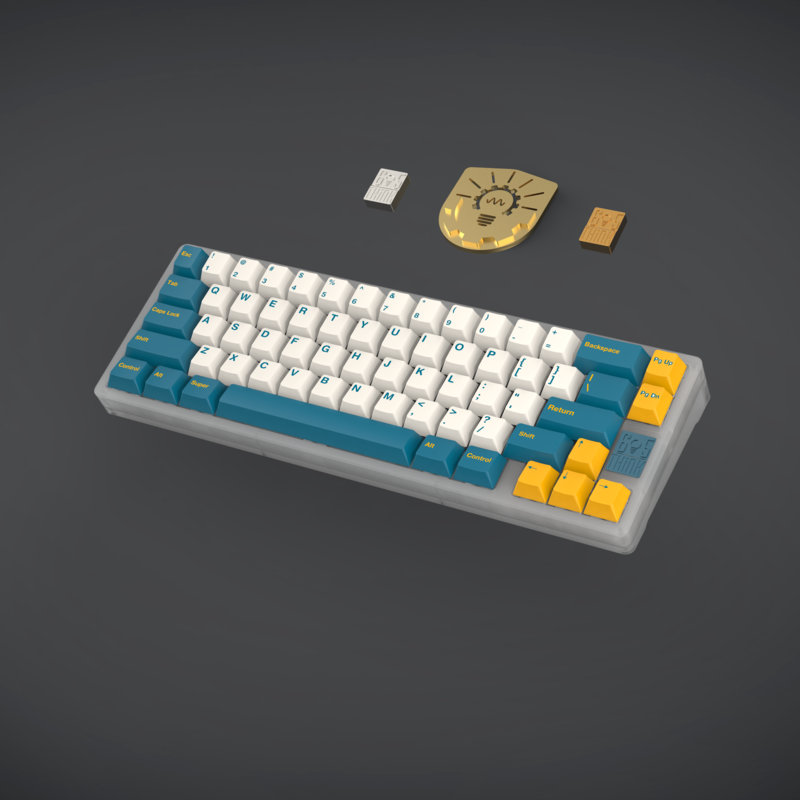 Support your boye OldCat and this project by using this signature to share THINK6.5° to the community! 1.Case: Initial design complete, prototypes production in progress, eta 1-2 weeks. Will make multiple prototypes regarding badge placement. 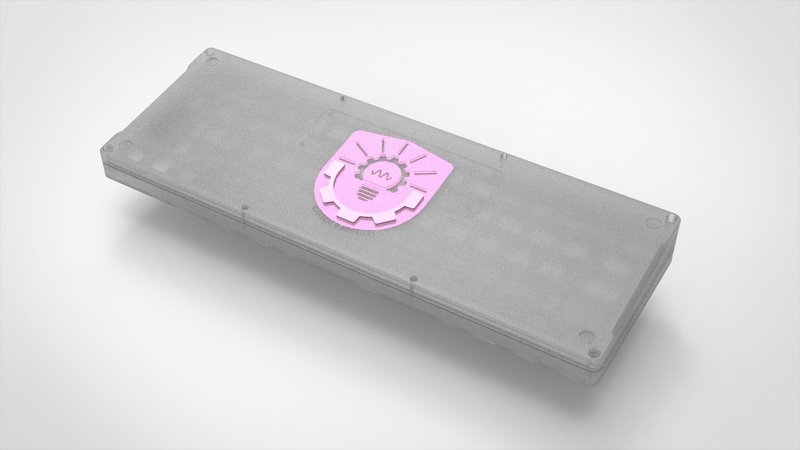 2.PCB: Design complete, prototypes production in progress, eta 2 weeks. 1.Confirmed that we will make 1 case with badge (badge placement TBD), and 1 case without the badge. The blocker near the arrow cluster will stay. 2.We are exploring different colors of PC materials. 3.We are working on simplifying the bottom brass weight. 4.Most likely a second non-hotswap PCB will be provided either as a kit bundle or as an option (TBD). 1. Badge with 3 upper indicator light has been adopted. 3. 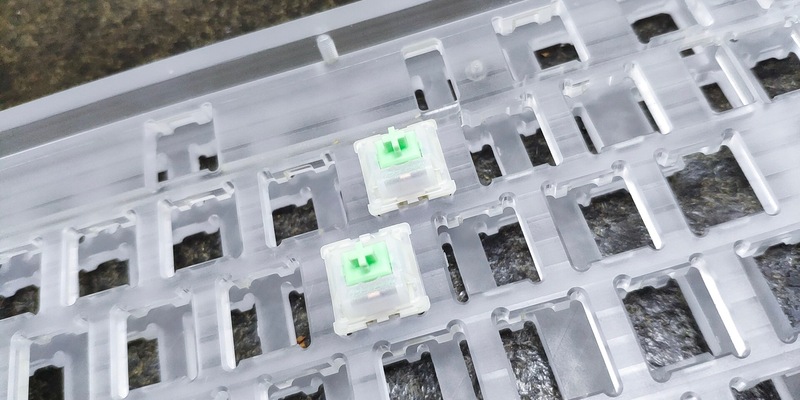 Confirmed PCB design for the build-in 4XRGB circling on the ESC key. 7. I believe we have addressed most concerns and feedback so far, and any additional feedback welcome. 8. 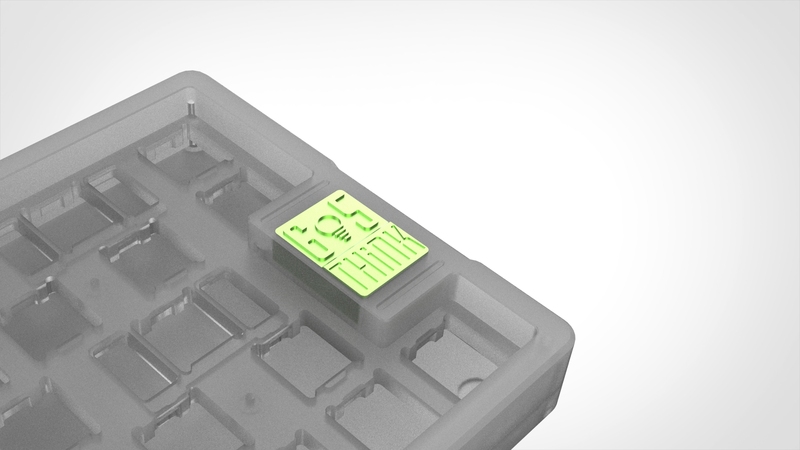 Confirmed a third case option that supports compatible layouts (7u space, ISO, split BS). 2. 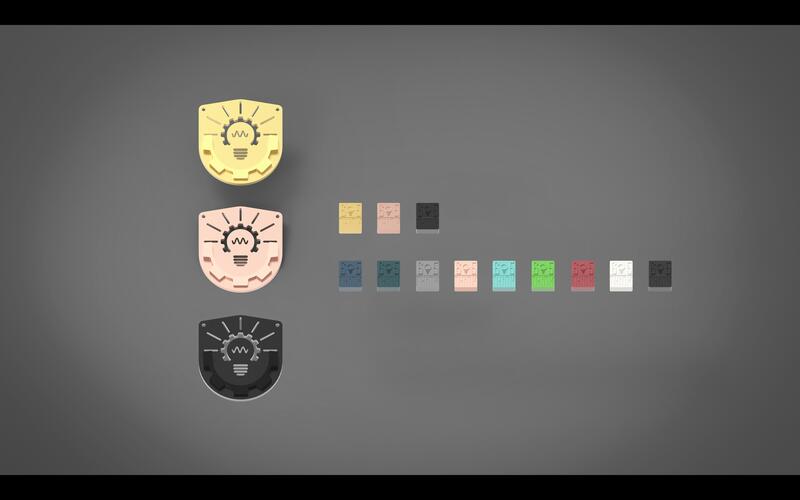 Decide that we will make the badge's 3D model opensourced after GB, so that participants can make their own badge and print out with other materials. Default brass badge will still be included for #1. 3. Badge design has been finalized. Still working on weight design (overnight). 1. Weight and badge design completed. 1. 3D Print prototype received and passed all tests. 1. 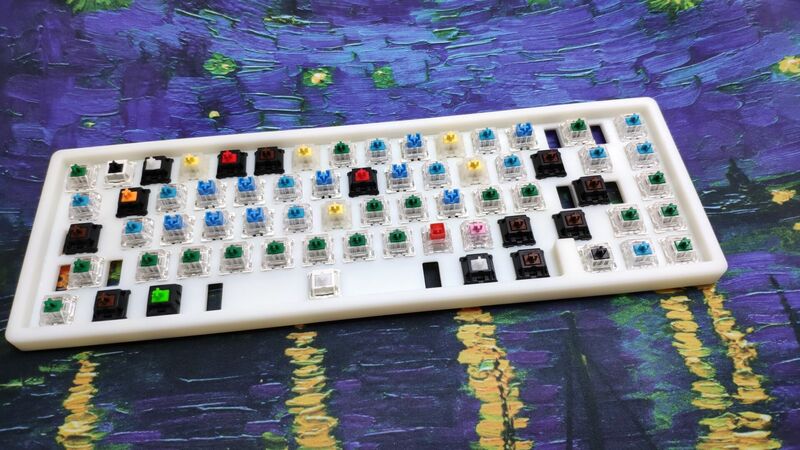 Rendering more images with different keycap colorways while we wait for the CNC prototype. 2. Received PCB Prototype. Tested and fully functional. 2. Adding poll for an additional layout. 3. CNC Prototype partially finished, see pictures in one of the later posts. Factory closed for a few days temporarily for the Chinese Party National Meetings. 1. CNC cases have been made, pending sand-blasting. CNC cases checked for accuracy of the edges and the holes and passed QC. 1. Still waiting on the prototype items. 2. 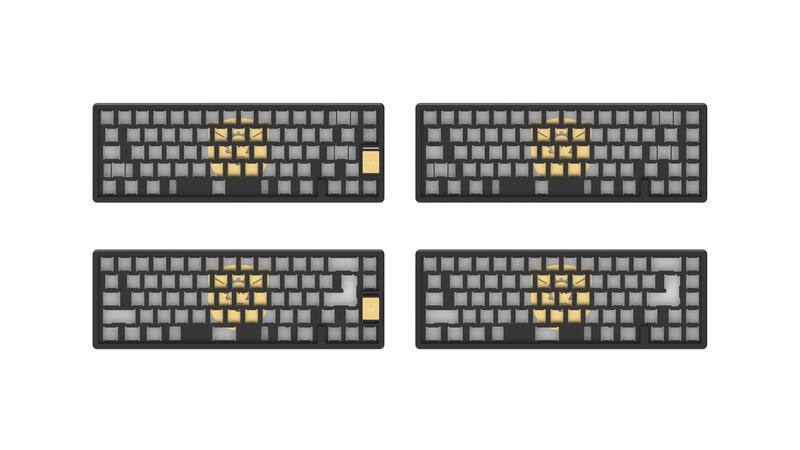 Added full pvd brass version to the prototyping queue, and considering that as an option for a special edition limited to a small quantity (~$650). 1. #3 Layout CNC finished, frosted. #1 and #2 in progress, badges/weights CNC done, awaiting anodization and PVD. Based on numerous requests from users on additional aluminum bottom piece, I gave Potter a call about this possibility. So I updated the Poll with a new question on the optional aluminum bottom. If there is not enough interest we will drop this option. 1. A decision was made to include full aluminum board as a separate option. I am not a big fan of Koyu/Doro/M60A style integrated plate for the reasons I have mentioned. But there are many requests. 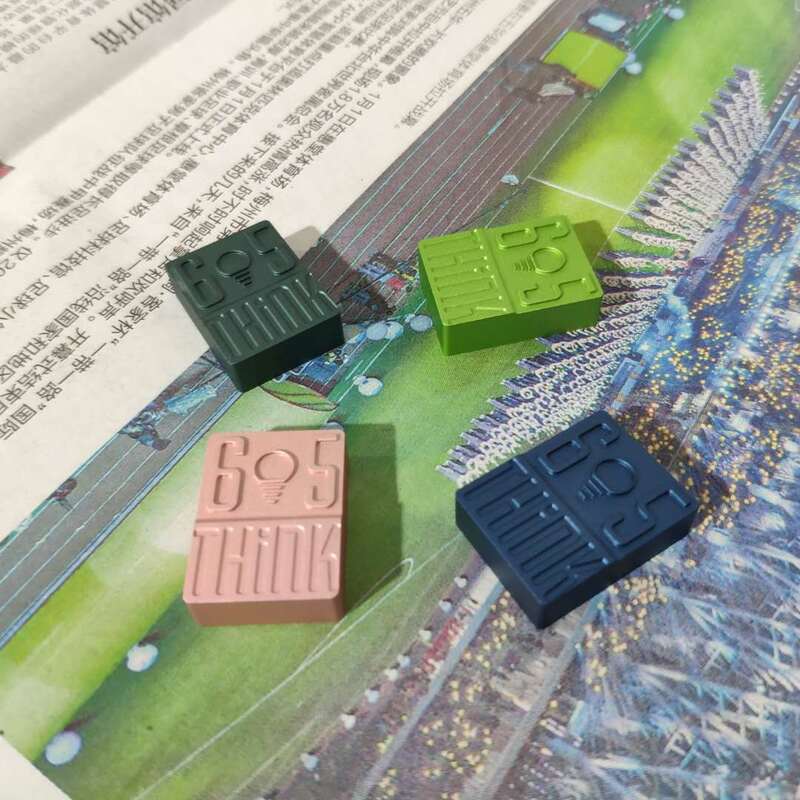 There will be a few colors available, no MOQ because demand from China is enough to cover MOQ. Same price as Polycarbonate. 2. 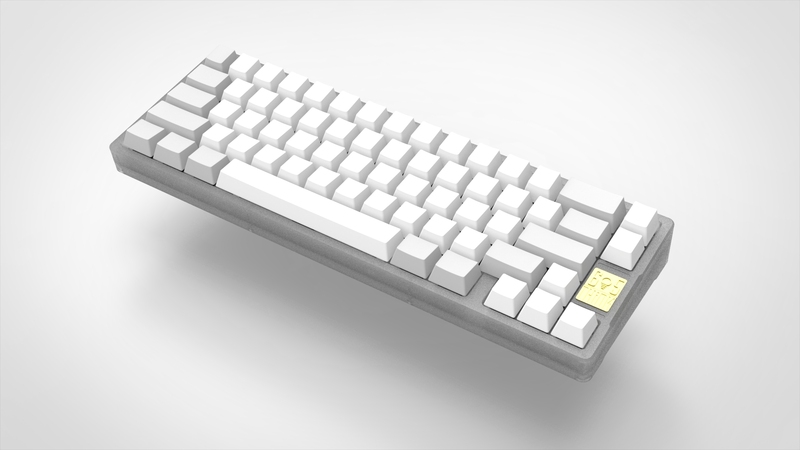 Bottom case prototype done, pictures updated. 3. We will announce GB and raffle details 3/31/2019 6:50PM MST. 1. More badges and weights are being made. 2. Black, glass fiber enhanced PC board prototype is being made. So good to nix the options.Love the attention toward a good looking pcb, too. I am in. I would vote for badge position 1 position 3, looks good guys! Badge position number 3 for me all day. Looks fantastic. Position 3 is unique, aesthetic, and usable! Version #3 looks super unique, and would set it apart from the TGRs and Kyuus. Depending on when this goes into GB, I'd be interested! #3. Gives the arrow cluster its own space pretty good and not too 910 like #1 is. I'd definitely vote on #3. I'm really impressed with all the work you do, Oldcat, would love if there's anything I can do to work on this with you. Love the design! I would be in for a aluminum version. It looks really nice. Are the words on the three nameplates the same? 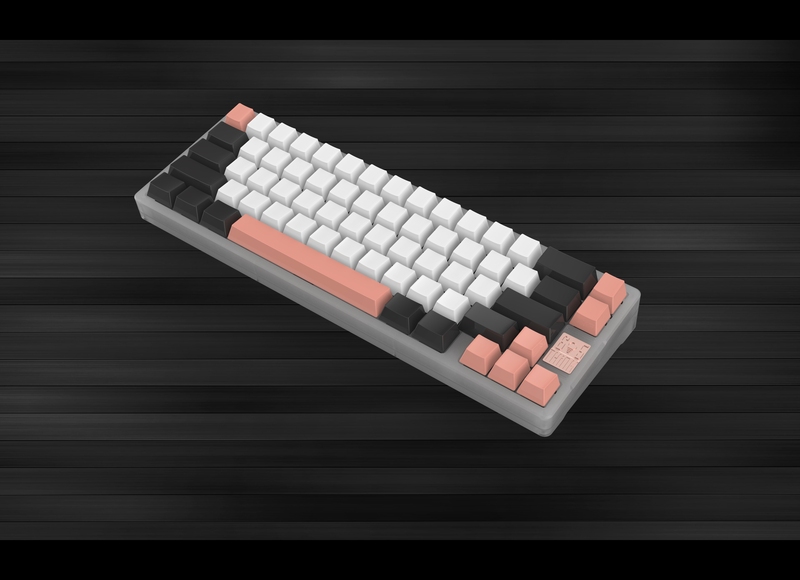 Can you customize it freely? I would be fine with either 1 or 3. My preference is 1, but I don't hate 3 either. "Personally, I will not take a single dollar out of a potential GB"
Swedish Linjär community inspires! Jokes aside, this is always respectable! 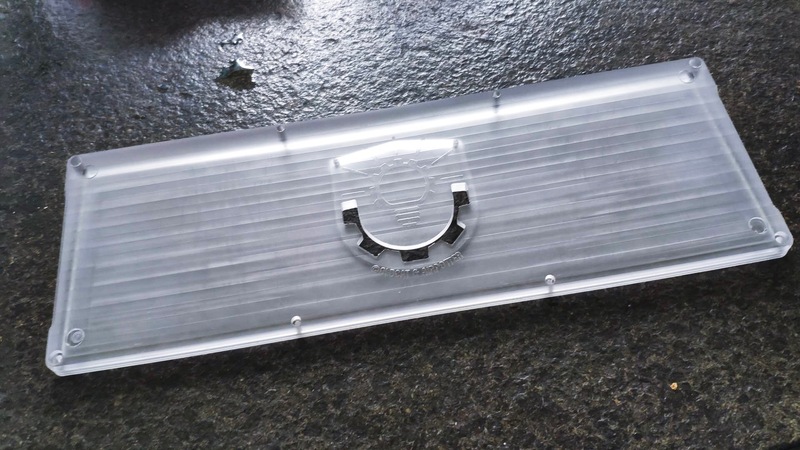 I personally hope for an alu gasket mount, love the design! 1 and 3 looks cool. especially 3. This is near perfect for me. Number 1 is the best placement IMO. Underglow RGBBBBBB please. If there is enough interest, we can consider making a non-hotswap PCB compatible with a few popular layouts. Hey thanks! Yes Gasket-mount should only require a bit of a tweak. If this is aluminum we will definitely go with Gasket or top-mount. PC thicc plate outperforms gasket in our testing, hence we finally decide to adopt this design. Can always have that option I guess. 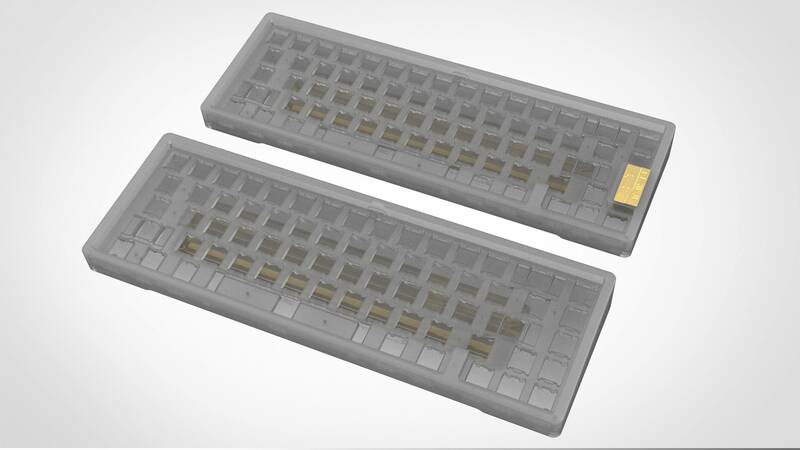 My concern is that the case will look quite plain, and too similar to 910. Is the groupbuy going to have limited spots? I always wanted a pc 910 so I'm interested in this. +1 for a non-hotswap pcb. Hotswap only kills my interest unfortunately. I would also vote for no badge. Having the badge take up 2 key slots removes too much functionality for me. But If I had to choose one of the 3, option 3 looks the most unique. I responded to the IC on Reddit, but figured I'd weigh in here as well. #3 is my preferred badge placement & I'm glad to see many others feel the same. I think that badge placement would really set this apart from the 910 & Kyuu. The only gripe I have about your plans with this board is the hotswap PCB. I actually do not mind hotswap (I do prefer non hotswap PCBs though TBH), but for a board like this I think it's too limiting. 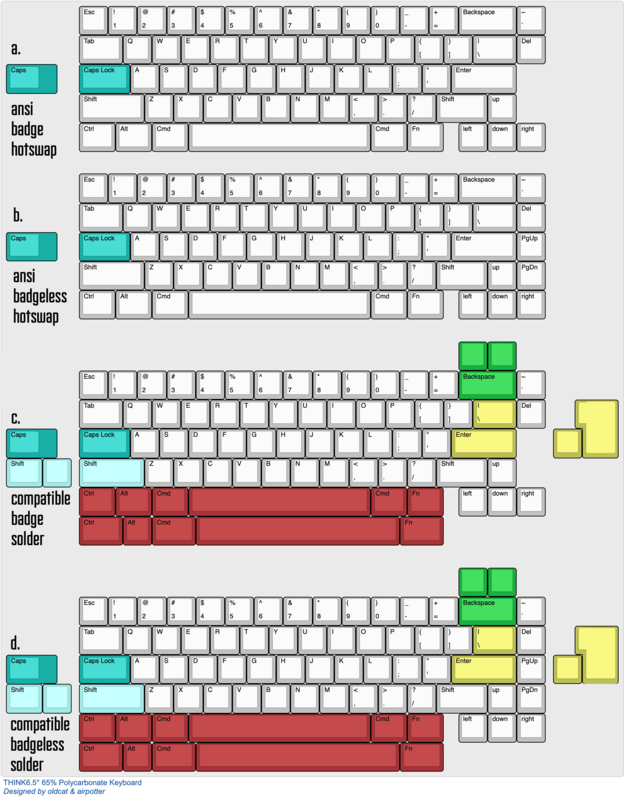 I would really like to see support for split backspace (this is almost a requirement for me) & 7u space bars if possible. Anyways great work so far & GL getting this to GB! 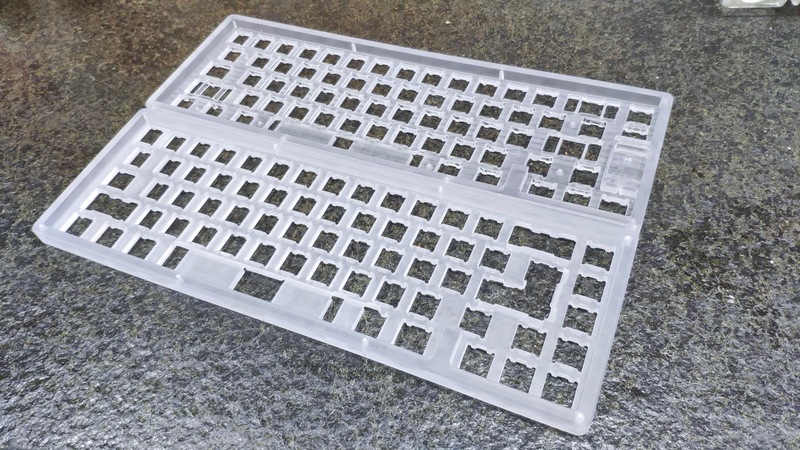 Did you try gasket mount with the PC plate? Good job, Mr. oldcat. 65% is life. I'll see how I can support this project when the GB comes. My current plan is to do a raffle for a few spots for very low cost-level units. I will pay for those units upfront and will be ready-to-ship stock, as something to give back to the community. And if there is enough demand, we will do a regular no-limit GB, priced at a level of mid to lower end of what you guys indicated in our pricing survey. I am actually quite a bit concerned about low price being perceived as not high-end. That has happened with ALF's DC60 before (at least in China people think DC60 is a very low-end item, the fact is ALF didn't take a profit). 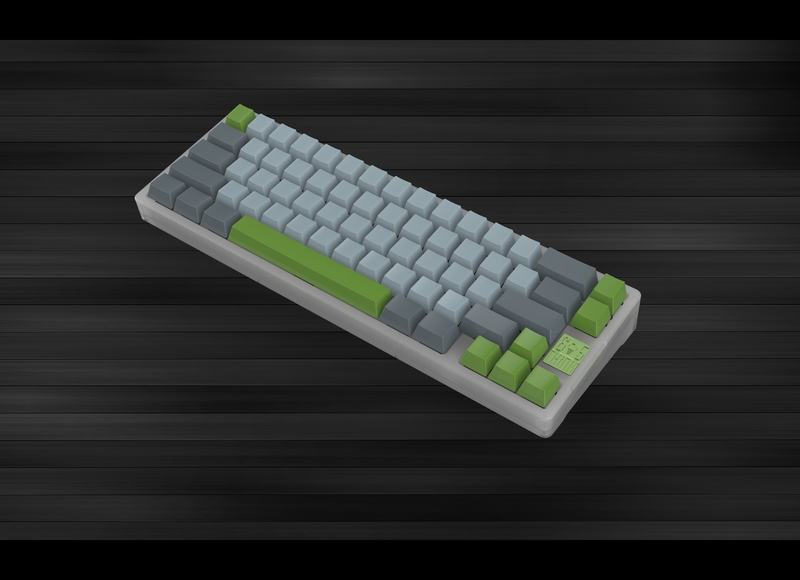 I am actually not sure how you guys want this GB to be: lower price, no limit; or higher price limit -- either way I am not planning to take money out, all profit, if there is any, will go to fund Gray Studio's operations. If you have a suggestion feel free to let us know! Free boards for all that fill out the form within the first 42 seconds. No one has done that before. You will be a first!!! I think people perceive low cost as low quality. That is the wrong mentality in this community and will lead maker to take a higher profit just to give people the false sense of paying for a high quality product. I am not against people making a profit, just saying. Keep up the good work. I want to be in on that low cost-level unit raffle. The only reason to not prefer "low price, no limit" Is the risk of poor QC, or delays. Therefore I don't think it's really a good question to pose to the community. Obviously low price and high quantity is better for the community. But given all the other concurrent projects right now I would only be comfortable joining it if you are comfortable running it. 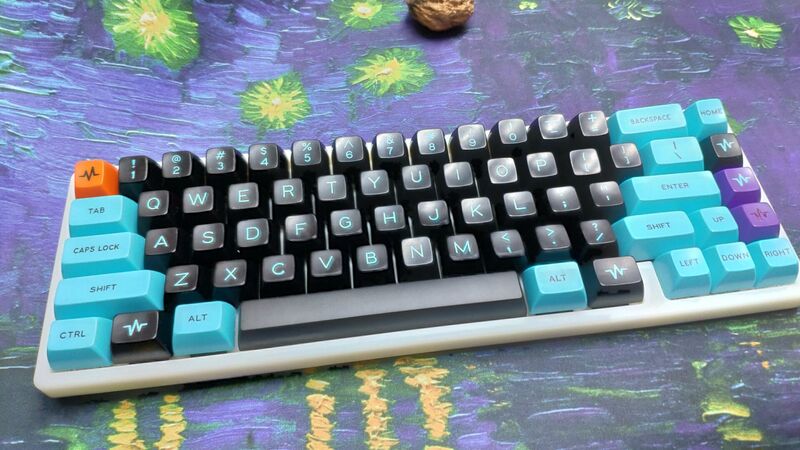 The DC60 seems to have gone well enough and the Doro67 looks like it will turn out OK as well, so I'm cautiously optimistic. Other than QC, the only other reason to prefer low quantity and high price is if you are a clout-chaser or flipper. I don't think we should encourage that behavior any further. Also, a few people asked me why I am working with Gray Studio for this project, not ALF. This has nothing to do with my relationship with ALF. I am a good friend of ALF, and I still manage ALF studio pro bono. In my own opinion, ALF's product has very high quality, albeit there has been some delay and some QC issues. But many authors keep an eye on the speed (E.g., Cary) and they do a good job with QC. 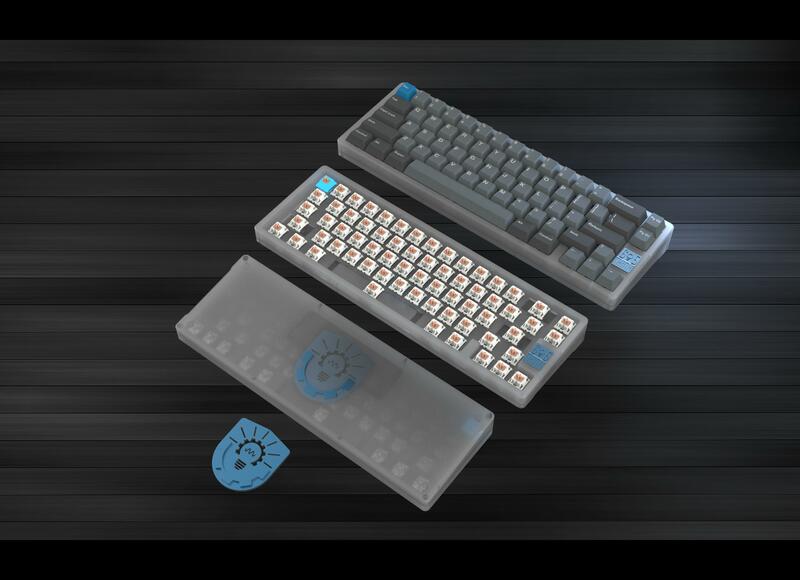 The main thing that prompted me to work with Gray was really that ALF is busy with a few GBs not yet fully delivered (e.g., X1.1, Unigo, and more recently, Dolch.CR and G60) and he is working on a few new projects. Given I am not sure how much profit I can bring to him with this project, I don't want to put extra burden on him. Please see my response above. This is not going to be manufactured by ALF. For previous GBs, I was helping out. For this one, I’m doing the design and will oversee the manufacturing process. 1. Badge is weird but I get it. It's a unique design aesthetic similar to the 910s. I like either 1 or 3. 2. The price question I felt was a weird question to pose to the community. I feel as if you're just going to get fairly terrible data out of it. If we assume all things equal, why would anyone vote for more than the lowest option? Like without context, if I assume the extremes (great board, superb QC vs crap qc, crap hardware) I'm always going to pay the lowest cost to reduce my risk or maximize my value. It's also hard for me to answer this question without the context of manufacturing cost, material cost, etc. Is PC cheaper than alu? My assumption is yes but I could be wrong too given that maybe PC is hard to get right vs alu, etc. For Q1. Maybe we can provide 2 options of badge is not most people's cup of tea. For Q2. Thank you, I think you have a very fair point. And the survey question may induce biased opinions. 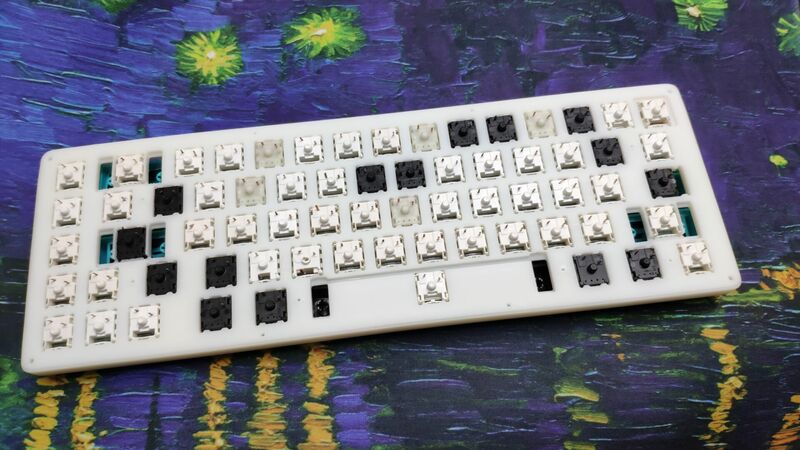 However, based on the data, there is ample variation regarding pricing actually, you should be able to view the raw data regarding participants' expected reasonable price for a high-end PC board. Not sure if many people are interested in bluetooth - if so we can consider developing that in a subsequent PCB. My perception has been that there is relatively low community interest in bluetooth, but I can certainly be wrong! I understand you want credit for your work, but having your names on the case would make this a definite no for me. Maybe create a small logo or something, maybe something like Kira's logo. It's a fair point. Thanks for the suggestion. I will think about this, maybe making it less conspicuous. I'm not really into the badge. I think it's disproportionate in size and too much of a distraction from an otherwise sleek design. I'm also not a huge fan of blockers, so I'd rather not have that either, but that's not as much of a dealbreaker for me as the badge is (though I strongly prefer no blocker). As far as the weight, any chance we could get other material options that could bring down the cost a bit? 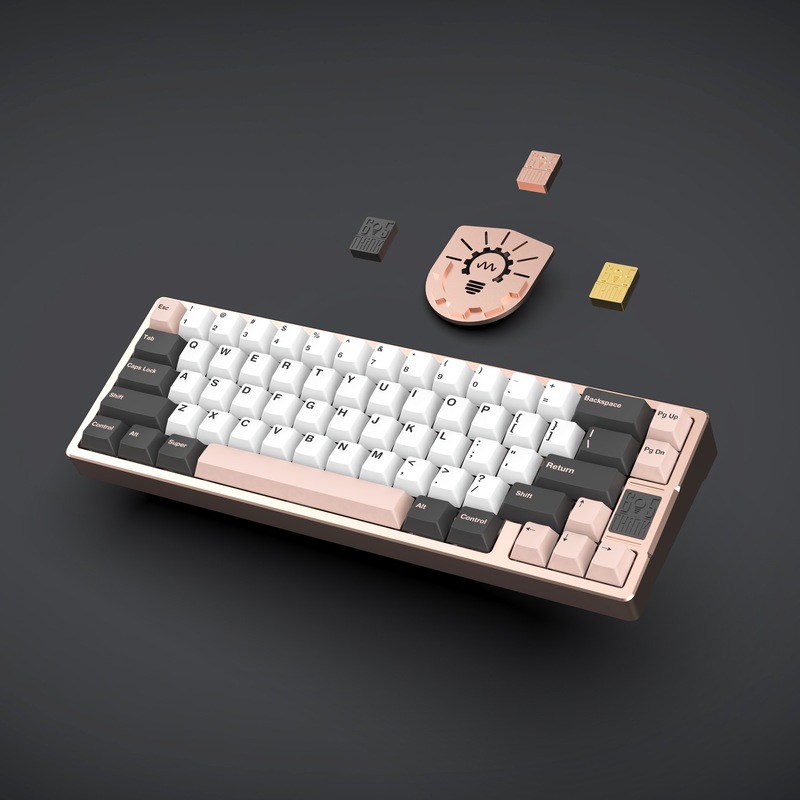 I understand the need for a weight given that PC is so light, but it would be neat to have a more affordable option for those of us who aren't set on brass and want to save a little money. All that being said, I'll keep an eye on this. It's definitely caught my eye! Really like everything else about the board. Any ideas on estimated price or timeframe ?